Plans are in place to relocate Central Library to the World of Glass, it can be revealed. Central Library, based in the Gamble Building, has remained closed since it was shut for urgent repairs in March 2017, although council staff have remained in the offices in the upper floors. The environment, regeneration, housing, culture and leisure overview and scrutiny panel were recently given an update on Central Library. However, the item was on a private agenda, meaning the press and public were excluded. 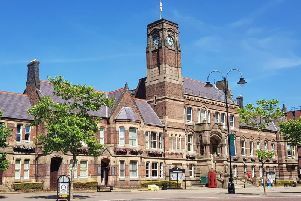 The proposals are part of the council’s vision to transform the World of Glass into an arts and cultural centre, a key element of its town centre regeneration plans. The report says architects commissioned by the council produced a proposal document which set out how the library and a range of other new offers could be incorporated into the building. It reveals the council has also enlisted the help of Demco Interiors, part of the Demco Group of Companies, the world’s largest global provider of library interiors and products. Under the current plans, the council is proposing to use self-service machines for taking out books and other items, and fully automated, ‘pay as you go’, touch screen kiosks for high-quality printing, photocopying and scanning. A library could be operational within 20 weeks of a decision being taken by the council’s cabinet and the World of Glass signing an agreement, the report says. “The repurposing of large areas of the World of Glass to accommodate both council and other voluntary sector services is a major departure from the World of Glass charitable objects and as such it has been necessary for them to take independent legal advice as to how this can be achieved,” the report says. The World of Glass has long been the preferred destination for a new town centre library as it is seen by the council as a key location in the regeneration of the town centre. As part of its plans to create a ‘cultural zone’ adjacent to the canal, council chiefs want to transform the World of Glass into a new arts and cultural centre. 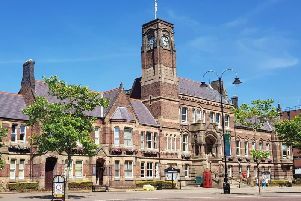 Coun Anthony Burns, cabinet member with responsibility for libraries, said: “As part of our desire to reopen a town centre library as soon as possible, we have been exploring a number of different options and examining the costs and practical issues that need to be considered.